In literary circles, it's often said that "style is the verbal identity of the writer"; that an author can be identified by the nature of their craft. 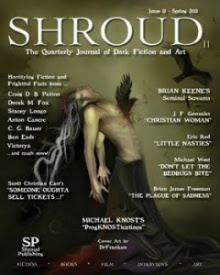 Iambic pentameter suggests Shakespeare, lyrical prose evokes Bradbury, pinpoint word economy reveals Carver. 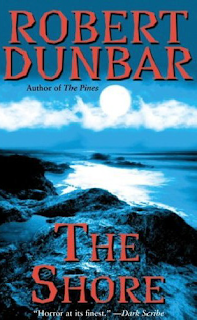 In this way, Robert Dunbar's vivid imagery continues to blaze a distinctive trail. As he did in "The Pines", Dunbar captures the aura of a dying town perfectly, painting an entirely different portrait this time, one of winter and ice. Also, he explores the Leeds Devil's legend deeper, posing the question: what separates natural impulse from true evil? Life has ground to a halt in the small shore village of Edgeharbor. Many shops have closed and left town, and tourism has dwindled. An overwhelming malaise covers everything, and growth is as frozen as the winter ground. Every year, the waters encroach further upon the shore. Edgeharbor is fading, but for Officer Kit Lonigan, it's a last chance to reclaim her pride - however illusory that may be. People are dying, their bodies torn apart by something feral, wild.... perhaps evil. Complicating matters is a stranger haunting Edgeharbor's streets. He knows too much. Is he tracking Edgeharbor's shadowy killer? Or is he part of the darkness himself? Slowly, Kit is exposed to a terrifying world through him. He has touched this darkness, so intimately that he himself wonders if Kit is right - that he's just as dangerous as the monster he hunts. In "The Pines", Dunbar captured the sweltering heat of an oppressive summer perfectly. Here, his trademark, imaginative prose pulls the reader into a frigid, uncaring winter in an isolated shore town. His management of the craft is masterful. In his descriptions, he doesn't just use lots of words - he uses the right ones, precisely. Also, he advances the myth of the Leeds Devil, making the reader wonder which is more evil: this evolving species, or good old fashioned, basic human cruelty? Visit www.dunbarauthor.com and www.myspace.com/dunbarrobert. Buy it now.